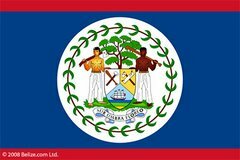 Belize and Israel this morning signed a visa waiver agreement which, for a limited time, will allow residents of both countries to visit without requiring documentation or approval from the respective embassies. The move is geared towards strengthening the existing relationship between both nations with a focus on attracting business and other economic interests to Belize. Signing on behalf of the State of Israel was His Excellency Mattanya Cohen, while Minister of Foreign Affairs Wilfred Elrington signed for Belize. "This is a time when we are venturing into the world of trade and investment. It is a world that is really signaled by knowledge. It is driven almost exclusively by knowledge and the Israelis have proven themselves to be one of the most knowledgeable people in the world. They have done tremendous work in research and development in all areas of activity and we believe that Belize can only benefit from them"
In the past despite the lack of tourism by Belizeans to and from Israel visas had to be sought from Israeli consulates either in Guatemala or El Salvador. Cohen says the temporary elimination of this process should see some increase in the influx of Belizeans and Israelis to both countries. "I want to tell you that annually fifty of sixty Israelis visit Belize. I do not know how many Belizeans visit Israel but I know that it is also a very short number. This is mostly because of the VISA requirements Israelis did not come to Belize. I am talking about tourists and I want you to know that we have thousands of youngsters coming to Guatemala every year. They visit Guatemala but when they want to enter Belize they do not do that because of the VISA requirements so I am expecting that as a result of this agreement we will have more Israeli tourists in the beautiful country of Belize. The other thing I expect is for more Israeli businessmen to come here to Belize." Israel, as a Middle Eastern Nation, also shares excellent foreign relations with other countries within Central America including El Salvador and Guatemala. Bit late for you, but no time like the present!! !